Iranian President Hassan Rouhani and his Russian counterpart Vladimir Putin underlined that the battle against terrorism and terrorist groups in Syria should continue. In a telephone conversation on Saturday evening, the two presidents said the battle against terrorism and terrorist groups, including Daesh (also known as ISIL) and Jabhat Fateh al-Sham, formerly known as al-Nusra Front, must continue. They also exchanged views about cooperation among Iran, Russia and Syria ahead of the peace talks due to be held in Astana, Kazakhstan, between the parties to the Syrian conflict. 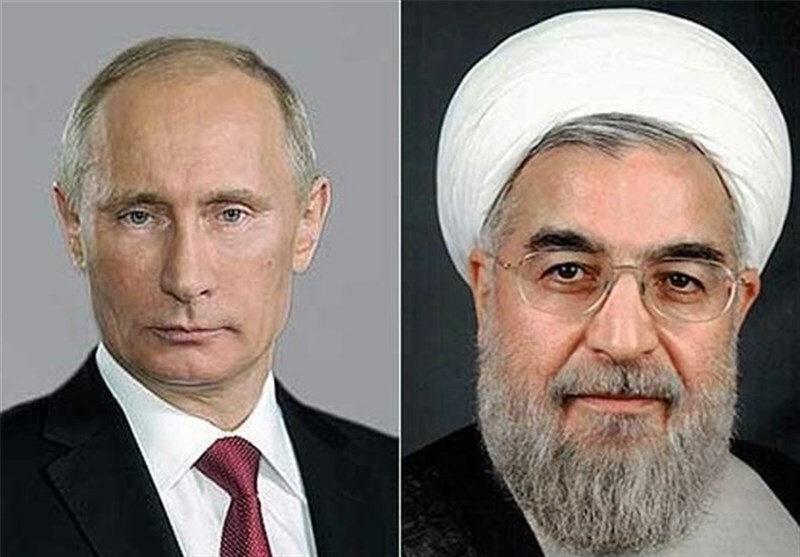 “We welcome the ceasefire which was achieved in Syria as a result of cooperation among Iran, Russia and Syria, and we also regard as necessary further consultation and coordination among countries ahead of the Kazakhstan meeting,” Rouhani said. The Iranian president also stressed the importance of sending more humanitarian aid to the Syrian people, particularly those living in militant-held cities. “It is very important that we protect and safeguard this ceasefire after the recent victories,” he added. The ceasefire agreement excludes the most brutal of terror outfits operating in Syria, namely Daesh and Jabhat Fateh al-Sham. The truce was mediated by Russia and Turkey, which respectively represented the Syrian government and the anti-Damascus militants. Ankara has stepped up its cooperation with Moscow recently, prompting speculation that Turkey might be moving away from the US, which is supporting Kurdish militants in Syria. Russia and Turkey successfully brokered a similar accord earlier this month following the defeat of militants, which ended years of fighting in the strategic Syrian city of Aleppo and facilitated the evacuation of residents from the city. The Russian president, for his part, said the ongoing ceasefire in Syria was the outcome of cooperation among all countries, particularly Iran and Russia, which seek to establish peace in the Arab state, Press TV reported. The Russian president stressed the importance of protecting the recent achievements made in Syria and making further joint efforts to fight international terrorism. It was the fourth phone conversations between the Iranian and Russian presidents about the developments in Syria over the past month.